This booklet - Air Raid Precautions Memorandum No. 17 1944 - covers in detail every aspect of the uniforms and badges issued and available to all Civil Personnel personnel from 1944 to the end of the war. It includes photographs showing exactly wear badges are to be sewn. 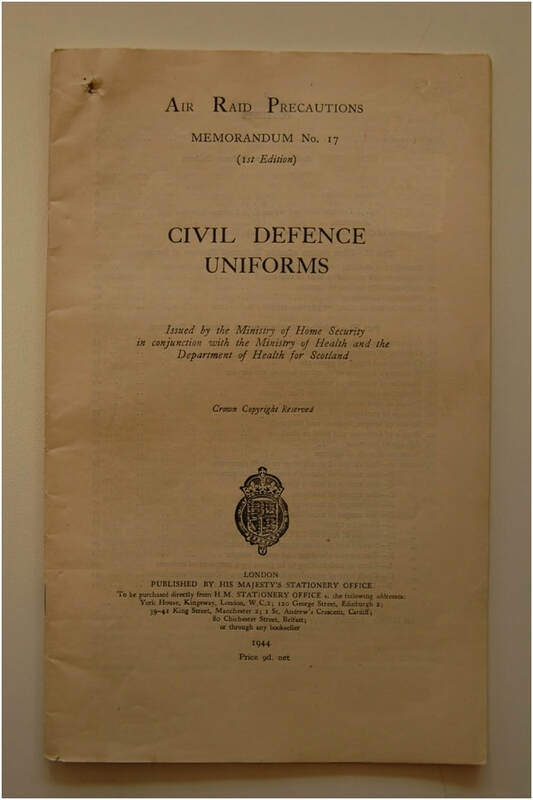 It also includes details of ARP Pattern numbers, uniform sizes and helmet markings for both Civil Defence and the Fire Guard. ​To receive a digital PDF copy for just £2.50 please contact me. Air Raid Precautions Memorandum No. 17 - Civil Defence Uniforms (1944).